1736 The History and Antiquities as well Ecclesiastical as Civil of the Isle of Tenet, in Kent The Second Edition, With Additions. 1904 Historical Notes on the Parish of St. Peter the Apostle in Thanet. Like Nick Catford's book about the Ramsgate tunnel system here is a book of modern pictures of Thanet that not everyone can go out and take for him or herself. Most of the pictures in this book were taken by Simon this Year (2005) and last year. Apart from showing our beautiful island in a new way I was made aware from these pictures how extensive the new developments are. It is very much a pilots view of Thanet. If you fly over Thanet as a passenger on a commercial flight I'm afraid that you don't see a great deal. 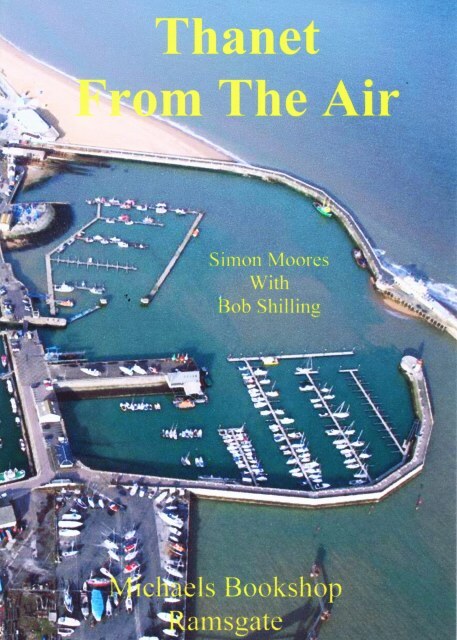 It would be nice to think that if I got in an aeroplane with the camera and a couple of rolls of film while someone flew me over Thanet, that in a few days time I would open the little pouches of photos and find something similar to the pictures in this book. I suspect in fact that 100 rolls of film and a year later I wouldn't be halfway there. I have done my best to make sure that the captions under the pictures match the places, if you find any mistakes please let me know. It is my intention in the future to publish a book of aerial views of each of the Thanet towns.